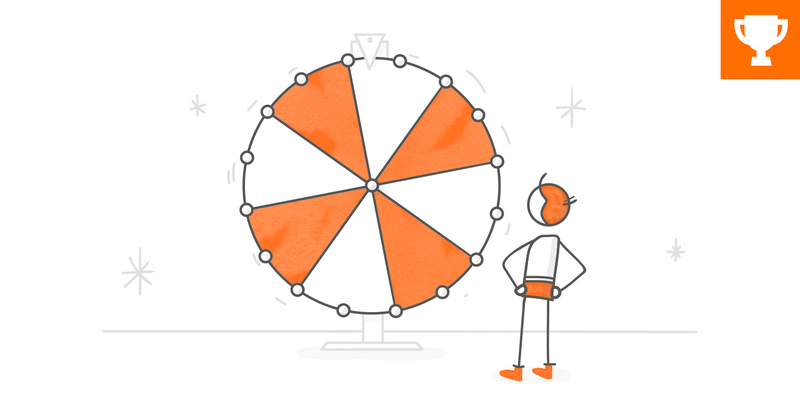 Game shows are a go-to source of inspiration for e-learning designers. Not only are they a great way to add some fun to boring quizzes, they’re also a fantastic opportunity for course designers to stretch their technical skills. This week, your challenge is to share a new game show-style template or activity. If you’re new to Storyline or e-learning, try reworking one of the game show templates in the downloads section. If you get stuck along the way, let us know and we’ll help you out. Wishing you a winning week, E-Learning Heroes! Can I come up with my own game show or does it have to be a well-known game show? It's a pro move coming up with your own, Zsolt. Go for it! Don't close this one too fast, David! I need a couple days! I have a concept from the 1970's in mind and I don't want to default to my Jeopardy game from a couple months ago! LOL...I hate being late! It's not in my repertoire. I love how the characters are hanging. This was real fun! Very nice Zsolt. Is there a way that you could change the dice image to match the number that you say it landed on? Learned a lot. Love your host! Thanks, Jodi! The host is my Plotagon avatar, with my voice. Like it a lot! You did a good job creating the likeness. I'll put Plotagon on my list of things to learn. Hi Karen, I'm stuck on the first slide. Not sure if it's my browser issue or something else. I noticed the same thing, Karen. Do you mind taking a quick look to see if the project uploaded correctly? 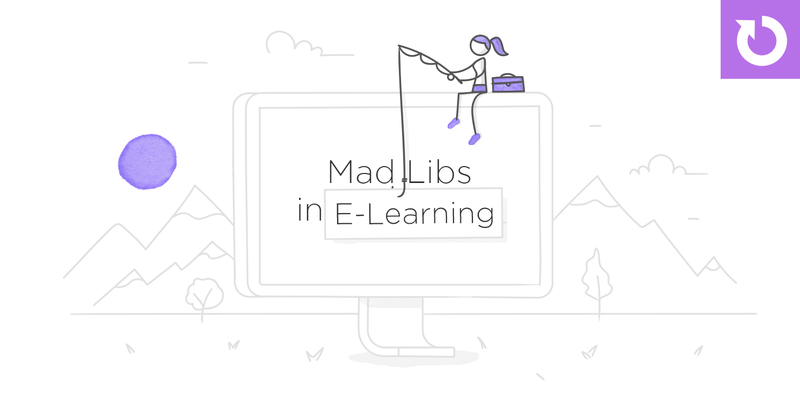 I have it listed in the recap here: https://community.articulate.com/articles/game-show-examples-in-elearning#Karen If you change the URL, just let me know so I can update the post. It is great!!! You managed to grab my attention till the very end and left me with a question if those answers that I provided are my wannabe parent or actual ones. Great one Jodi, How did you make the animation part ? Hi Julie, I used a program called Animaker. It's pretty easy. My first 10 seconds took me three days to make. Now I can crank them out much faster. Glad you liked it. You always have the best graphics and illustrations! Where do you get them? Very nice Jodi, I loved the look of it and the animation is fantastic. For me, some of the answers to the questions would depend on how old your son is. My kids are old enough to make most of their own decisions, so that make me neglectful. Did the leaderboard just add the name entered to the top of a list that you created? Ingenious! I love your work this is so inspiring and so creative. Well done! I love your submissions Jodi! I was wondering what software do you use for creating the videos in the project. The characters look great. Hi Priyanka, I'm glad you like them. My 2019 resolution was to do more with animation and text to speech in my projects. I've been having fun with a service called Animaker. www.animaker.com It seems to be targeted to people who make promotional videos for YouTube. I started learning it about a month ago. I chose it because it has a white board feature I like and a character set that appealed to me. For this challenge I liked the visual of the baby character and then it just took on a life of its own. I'm just scratching the surface on what it can do. Thanks for asking! Liked the wheel spinning effect. It took me six attempts to get it right! Very nice interface Stefano. I agree with Ashi, the spinning wheel looked great. I remember this game. Really nice. Though, I wish the answers were not in so much hurry. I have heard that. Easy enough to change. But it was just something I was trying to test out some things to see if I could get it to work the way I wanted to for an actual training. I like the idea, but I found it a little too fast to read and react. Fab! Which Font have you used? This is great, Teo! I made it to the end, when do I get the Million dollars?! Alicia I really like the idea. Nice images and pressure of time makes you focus on the task. So I decided to convince my child that I am not sitting in front of the computer for nothing. He is currently learning how to multiply. So I have prepared a game. It is not exactly a game show but if you delete 'show' it fits. So without further ado here it is: https://slchallenges.s3.amazonaws.com/Challenge217/story.html I am still testing it so if you encounter any errors I will try to fix them straight away. It's remarkable how quickly you create engaging examples each week. Nicely done (again) Jodi. Recap updated: https://community.articulate.com/articles/game-show-examples-in-elearning#Jodi2 Can you check the link for your download? I'm getting an error each time. Unless it's personal and you are blocking only me from accessing? I wonder sometimes. I think I fixed the download link--I hadn't made it public. Let me know if you still can't get in. I just checked it. Wait till you see my awesome color and font set! :))) The color set was a huge time saver. I always learn something in your sessions. As i was hurrying to get it out I noticed I could have managed my timeline and layer naming conventions better too. I also think on this one I need to play around with the audio settings--my text to speech is getting drowned out by that annoying dating game theme song. I have a client project coming up with text to speech so I need to up my game on that. Have a good week! I'm going to try to attend Quick Tips today from my flight--let's see how good airline wifi is now! Thanks for updating, Jodi. I added your download the the recap. Were you able to join the webinar? I'm curious how the wifi worked. Rats...flight was delayed so were taking off at 11ET. It looks like it might have worked. People were streaming tv. Cool game. I know I have issues with orientation when I use Illustrator. I always need hash Mark's on my art boards. Thanks Linda ! I like it ! Hello everyone! Here is my entry for this week challenge. It kind of remind me of "who has the biggest brain" a popular fb game : https://www.youtube.com/watch?v=Jh53x5jhGCk https://360.articulate.com/review/content/bef04029-c8ef-4726-8545-80624b597027/review I wish i had more time to add more kind of tests ! But this week challenge is already on ! That one was super fun! And I've never considered myself good at math. This was amazing! And showed me I need to brush up on my maths skills!